AslaHora ransomware uses sophisticated techniques to infiltrate computers and hide from its victims. Use Reimage to determine whether your system is infected and prevent the loss of your files. AslaHora is a malicious ransom-demanding Trojan that is also known as Malki ransomware virus. It functions as a typical file-encrypting virus, and it adds .malki file extensions to encrypted records. Though some of IT professional thought it to be based on HiddenTear malware, in fact, it is a different infection. After taking a closer look at the threat, it becomes obvious that it is a joke to give a lesson for credulous users. Even if you managed to decode the files, make sure to perform explicit AslaHora removal. For that purpose, you may find Reimage or Plumbytes Anti-MalwareMalwarebytes Malwarebytes practical. Lately, a new trend among hackers was detected. Perhaps due to summer moods or other reasons, more file-encrypting threats, which are too weak and can be easily decrypted, or specifically devised so poorly, appear in the cyber space. Between the two major cyber “quakes” – WannaCry and Petya assaults – several minor threats find their place. While some of them are just failed attempt to program a full-fledged crypto-virus, others are obviously created for entertainment purposes. There are dozens of screen lockers which try to disguise under ransomware but contain a hint of the passkey in their source code. However, Malki ransomware might be an exceptional case when the hacker facilitates decoding process. On the other hand, the cases when fraudsters give up their “work” by releasing the decryption key or password are not completely rare. Recently, AESNI felon and the masterminds of Petya virus willingly published master keys. 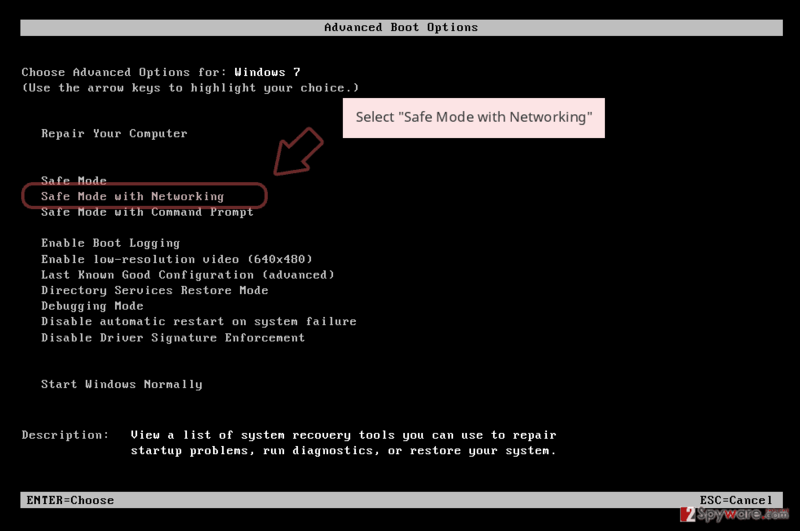 Even if you get infected with AslaHora virus, there is no need to panic as you can simply enter the passkey. It does not mean that you are fine. 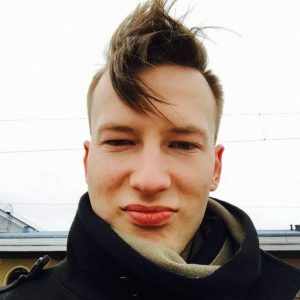 Remove AslaHora and its registry keys. Regarding the crooks‘ warning, they might be right: if your OS got entangled by the threat suggests that you accidentally clicked on a malicious file or program. Let us briefly look through the transmission tendencies to prevent AslaHora hijack in the future. Though the cases when even legitimate and well-known websites were hacked are not a complete rarity, the probability to run into this virtual infection is much higher in P2P file sharing websites, gaming domains, etc. Some IT experts believed that the malware was based on HiddenTear, but its trojan suggests that it is something different. Fortunately, this time you will easily get away with decryption of files. However, this malware surely serves as the lesson to be more careful next time. 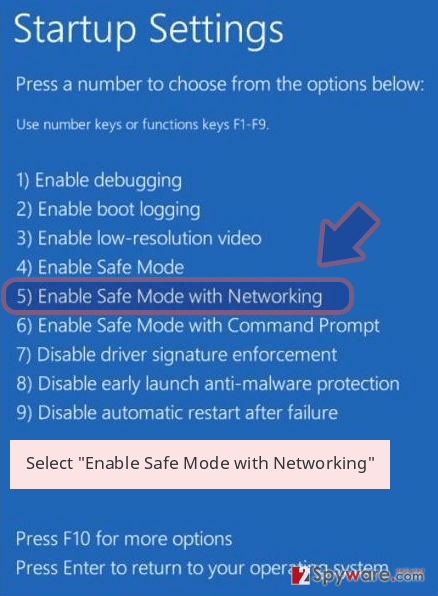 Remove AslaHora virus and then enter the password to decode files. There is a chance that this malware might shut down the anti-virus or malware elimination tool. 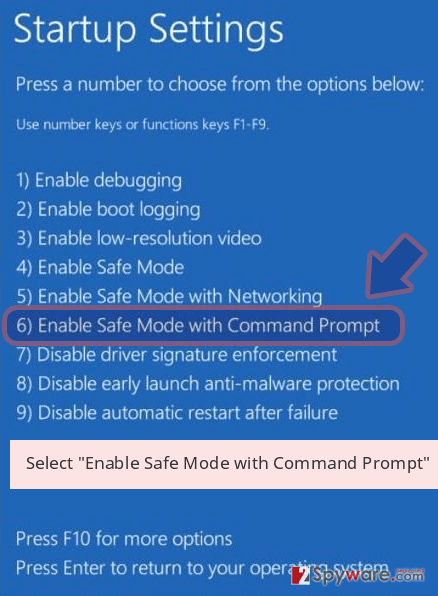 In order to “uninstall” the malware, or simply finish AslaHora removal, reboot the device in Safe Mode or use the second method. 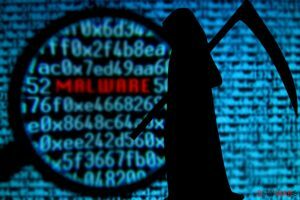 If you happened to be from the Czech Republic and encountered this threat, visit the Czech version of 2-spyware for more information about malware and ways to counterattack it. Log in to your infected account and start the browser. Download Reimage or other legitimate anti-spyware program. Update it before a full system scan and remove malicious files that belong to your ransomware and complete AslaHora removal. 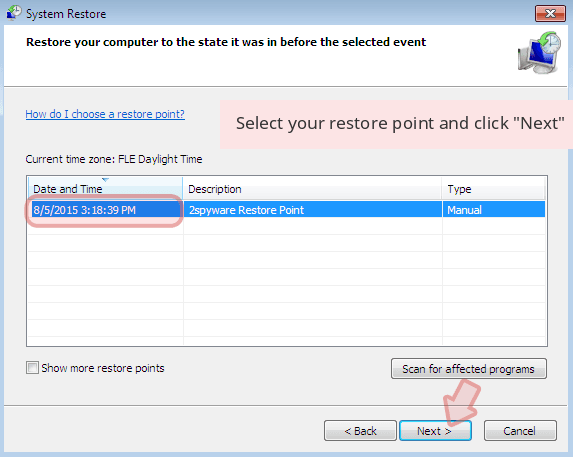 System Restore reverts the operating system to the automatically saved restore point. Note that files and applications installed between it and the present might be lost. 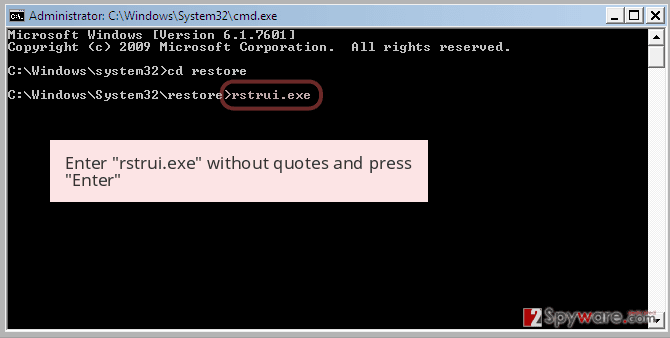 When a new window shows up, click Next and select your restore point that is prior the infiltration of AslaHora. After doing that, click Next. 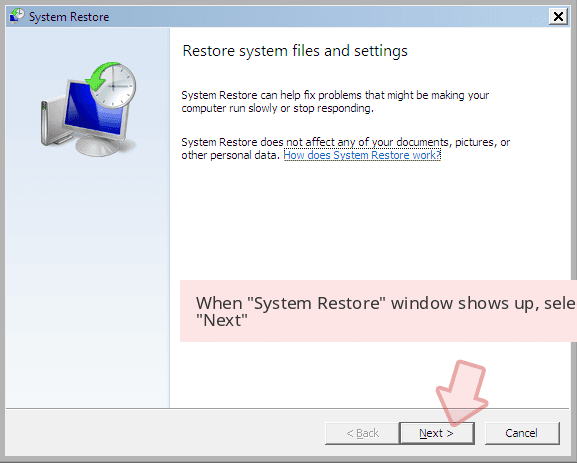 Once you restore your system to a previous date, download and scan your computer with Reimage and make sure that AslaHora removal is performed successfully. 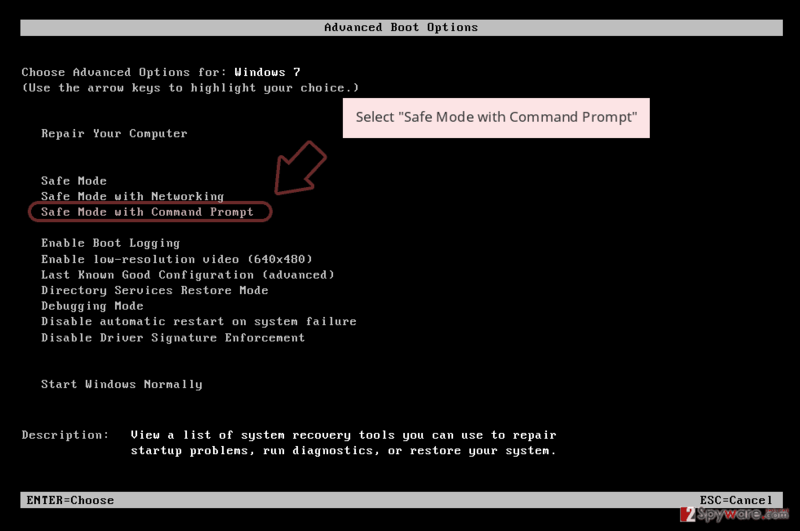 Guide which is presented above is supposed to help you remove AslaHora from your computer. To recover your encrypted files, we recommend using a detailed guide prepared by 2-spyware.com security experts. This program is designed to give a helping hand for users who want to restore damaged or lost files. ^ Jake Doevan. Petya developers release master decryption key while NotPetya victims are still counting their losses. 2-spyware. IT News, Reviews and Malware Elimination Tools. ^ How to remove computer viruses. Odstranitvirus. IT News, Tutorial and Malware Removal Instructions. This entry was posted on 2017-07-13 at 04:26 and is filed under Ransomware, Viruses. You can quickly scan the QR code with your mobile device and have AslaHora ransomware virus manual removal instructions right in your pocket. How did you remove AslaHora virus?